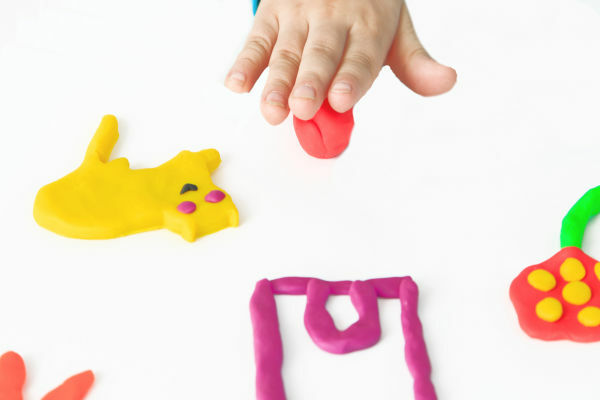 Play dough is one of our favorite ways to play! 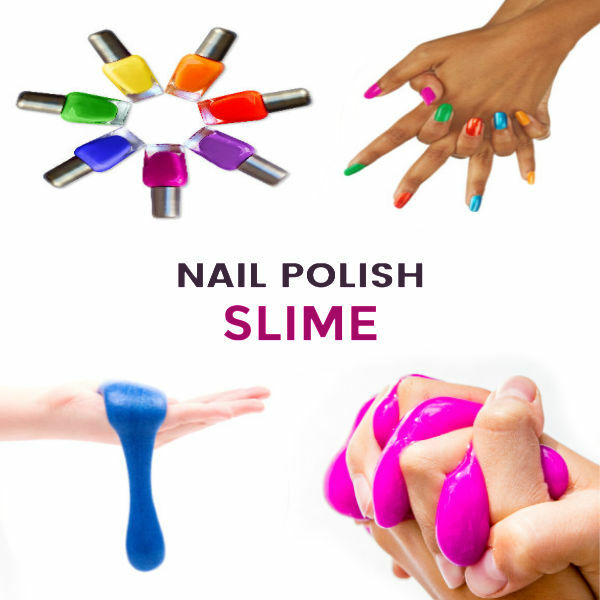 There are so many fun ways to use it , and the ways to make it at home are endless! 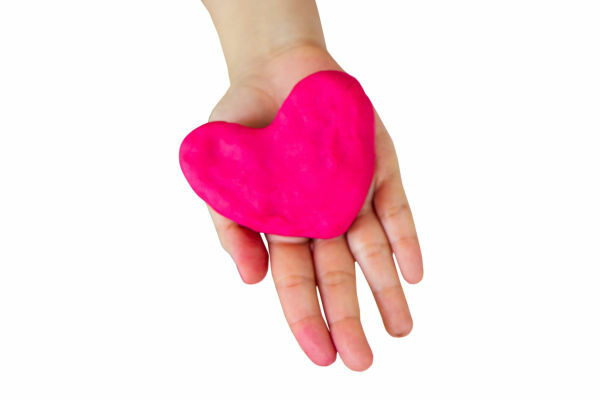 Today, we are sharing one of our favorite play dough recipes using Kool-aid. I love that this recipe does not require cooking! I simply do not have time for that these days. I also love that you do not need cream of tartar. 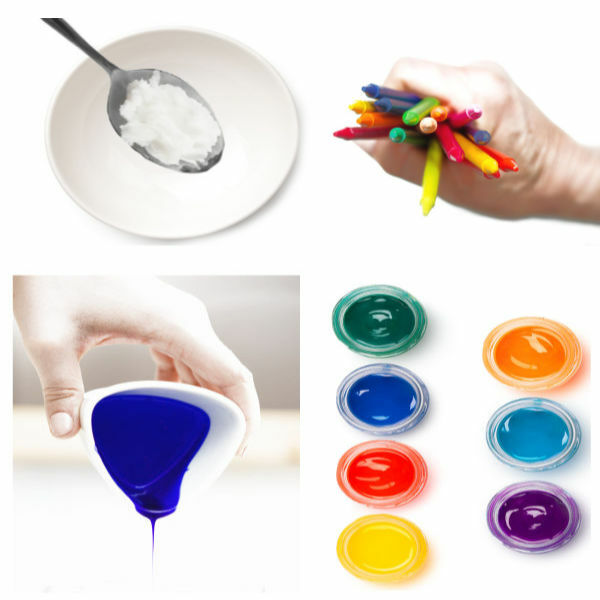 The Kool-aid vibrantly colors the dough & also gives it a delightful scent! How fun! This recipe is also taste-safe, making it great for kids of all ages. 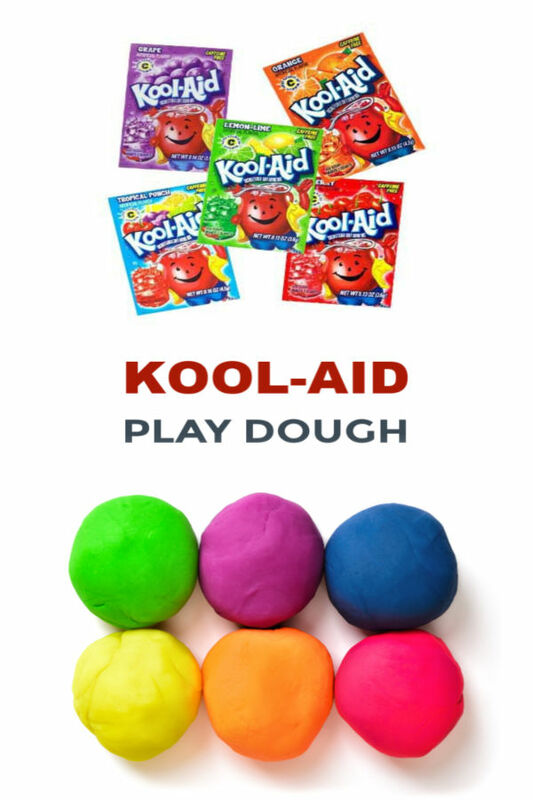 Are you ready to make play dough from Kool-aid? Add 1 tablespoon of cooking oil along with 1/2 cup of boiling water and mix. 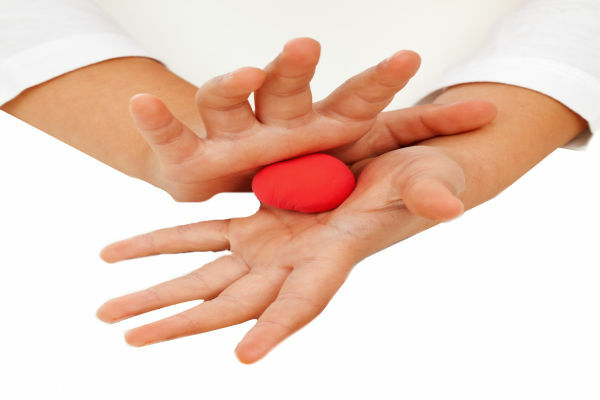 Once cool enough you will want to mix with your hands. 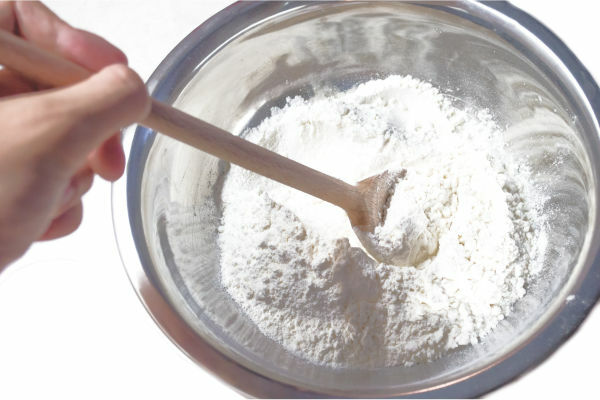 If the dough is at all sticky add a bit of flour and mix it in. 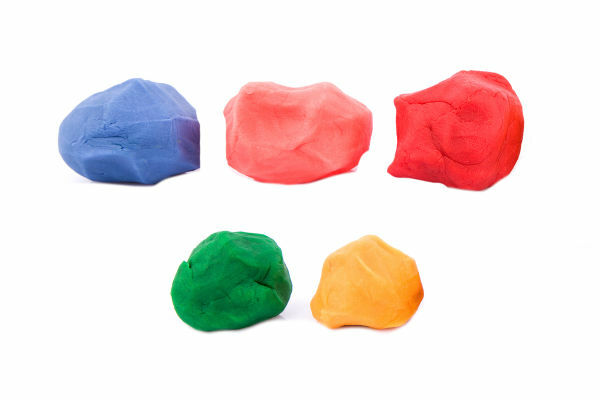 After a bit of mixing & kneading you will be left with delightfully scented, Kool-aid play dough! 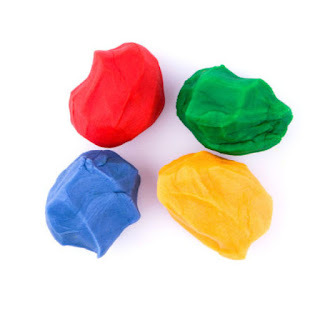 Repeat this process for each Kool-aid play dough color that you wish to make. The play dough is so soft and smells amazing! The colors are vibrant, and the recipe really couldn't be easier! 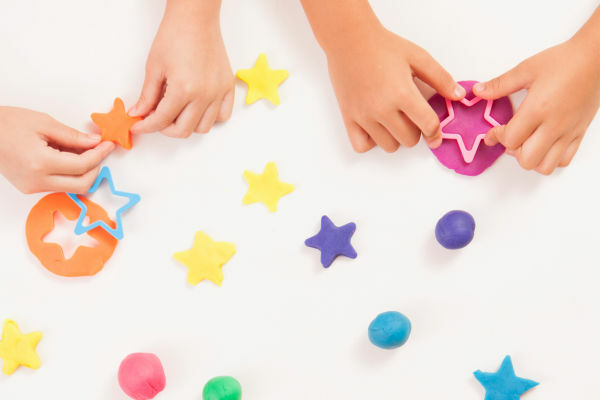 I love that this play dough requires no cooking or cream of tartar, and I love how easy it is to make! What happens if you combine varying colors of Kool-aid before mixing your dough? 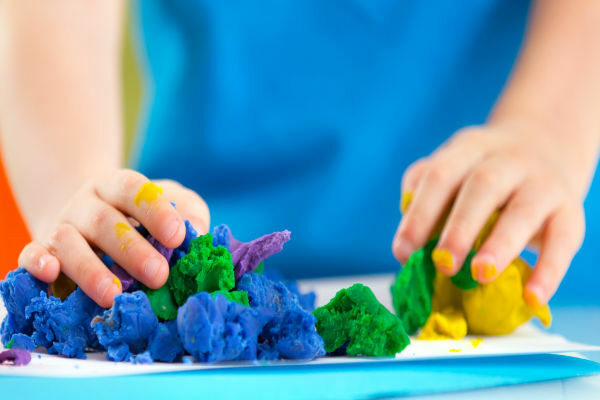 What play dough colors can you create? 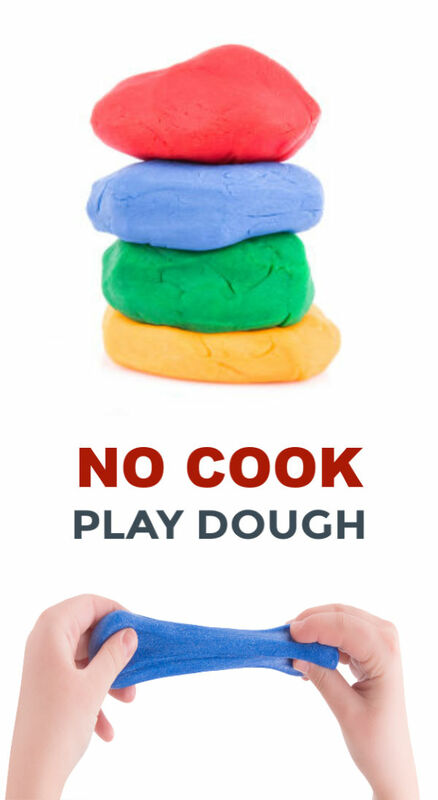 Another way to do this is to combine the play dough varieties once they are mixed. 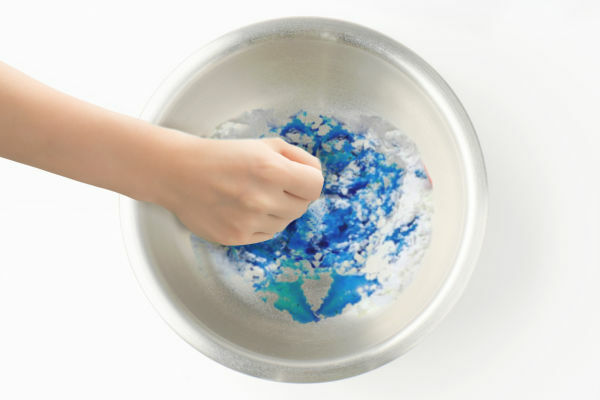 What other fun things might your kids be able to do with this dough? 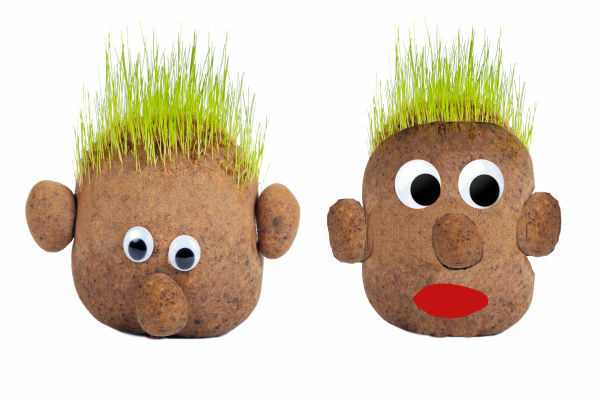 Challenge them to experiment and find out! 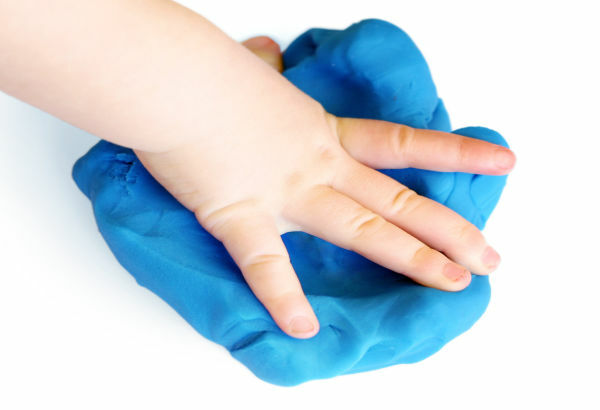 Store your play dough in an air-tight container between play times, and it can be used for up to one month. You can purchase Kool-aid in a variety of colors on Amazon here.